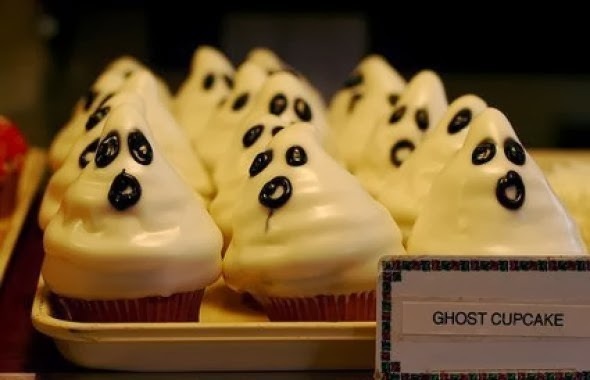 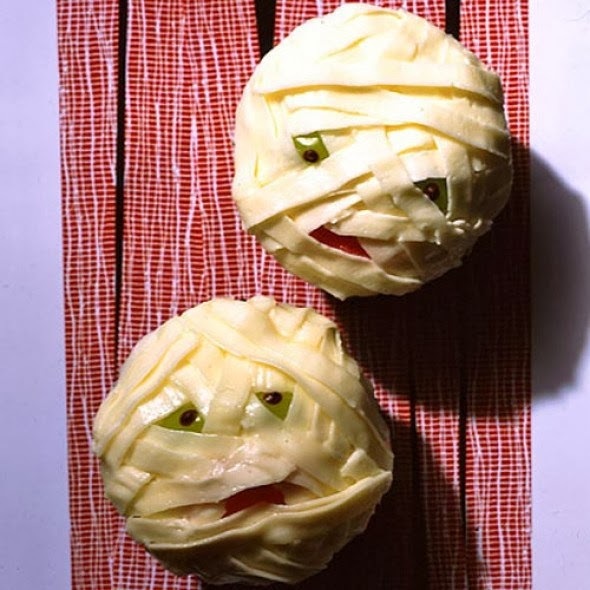 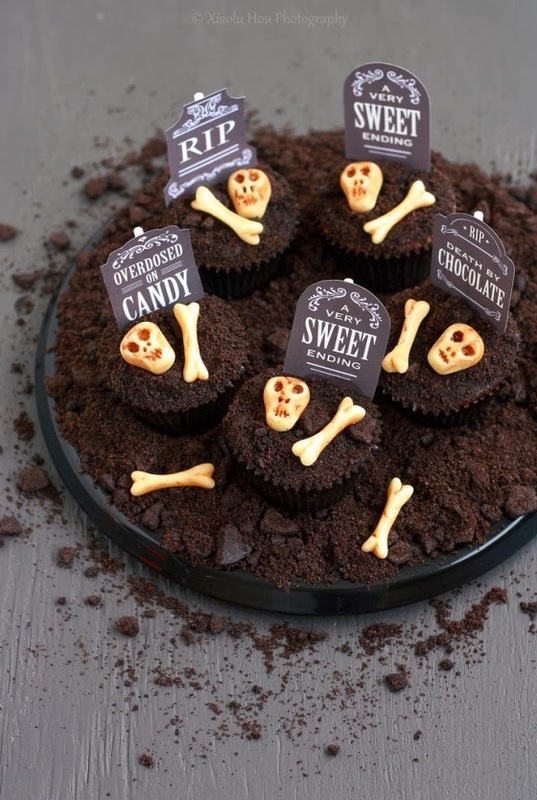 Among the home décor that we set up for Halloween, there is also the food decorations that play a great role in bringing the spooky atmosphere around. 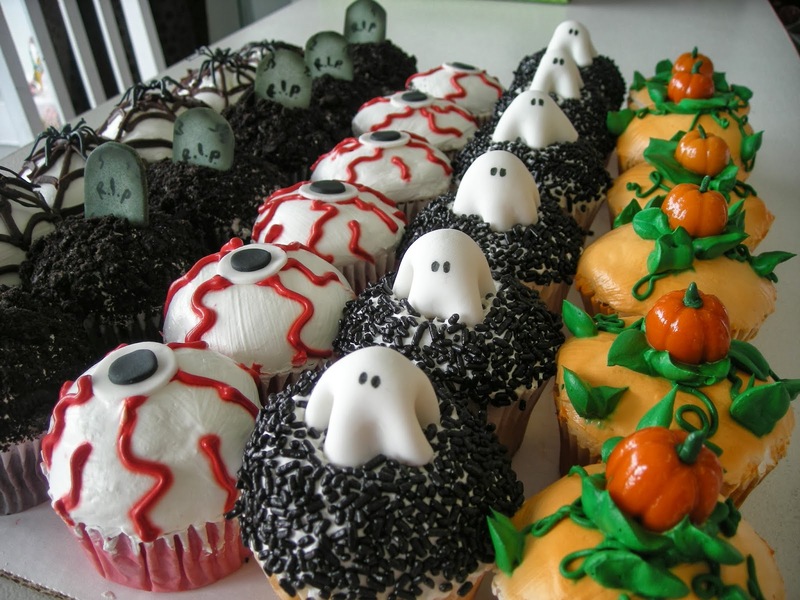 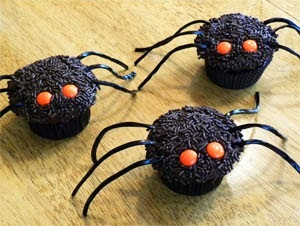 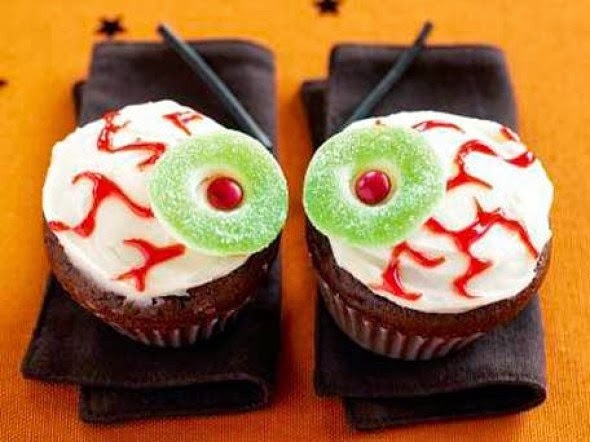 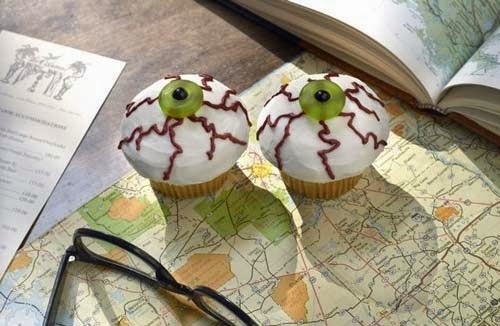 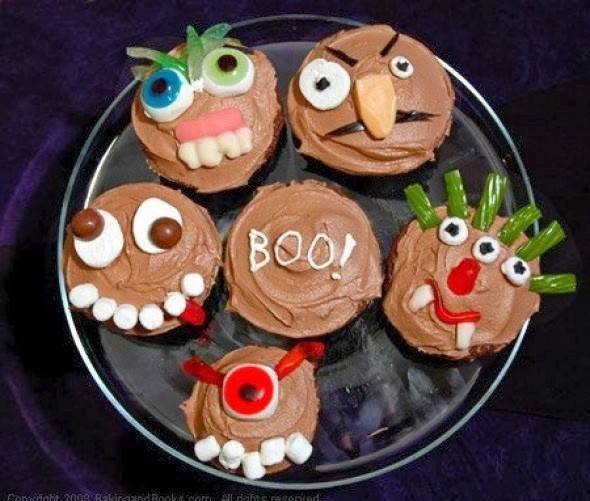 In the previous posts I’ve introduced a diversity of Halloween cupcake decorations that included some elegant, simple and funny themes. 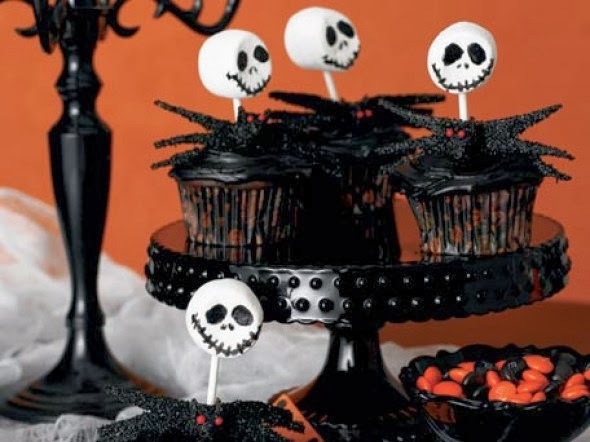 In this post I’ve collected some really scary themes that suit mostly adults and not kids. 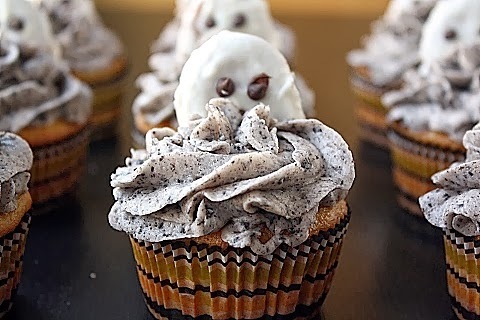 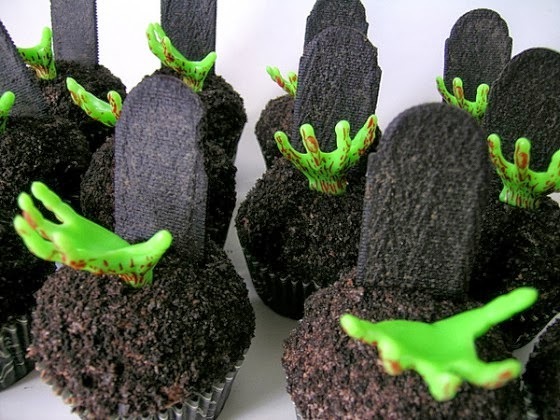 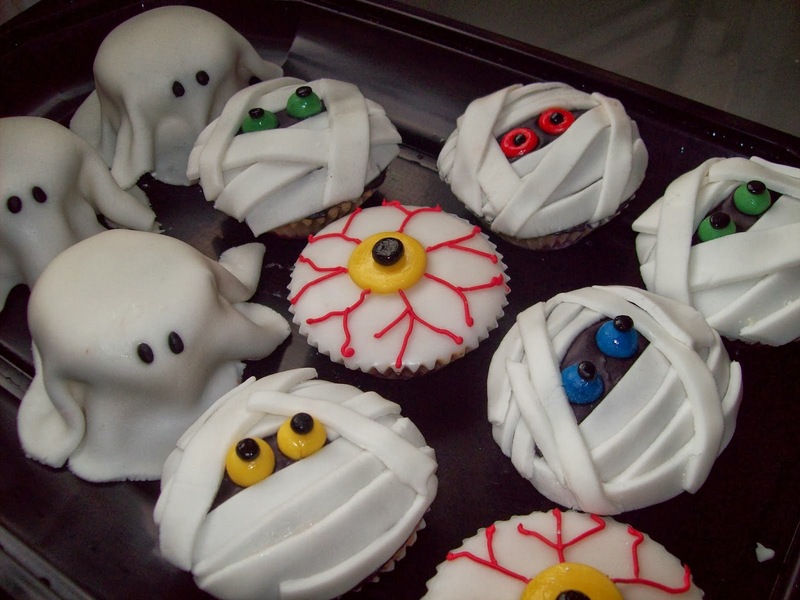 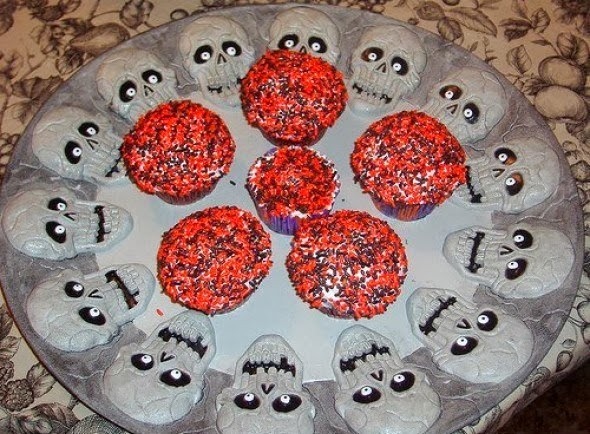 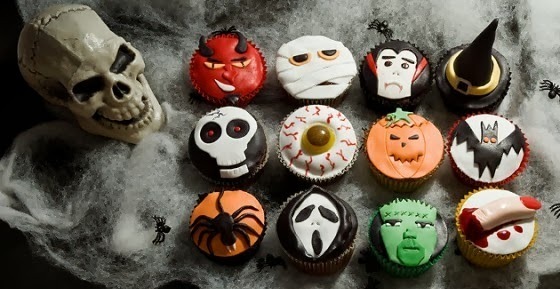 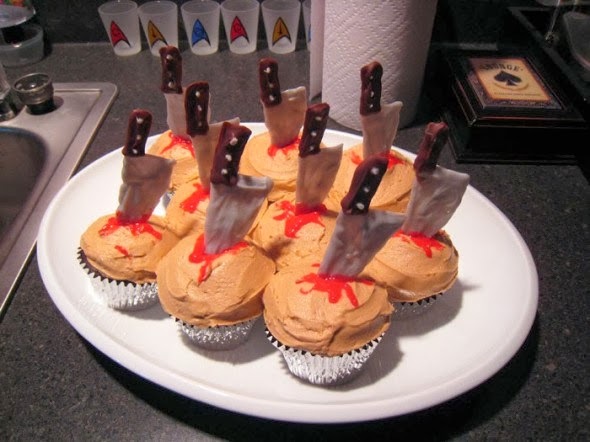 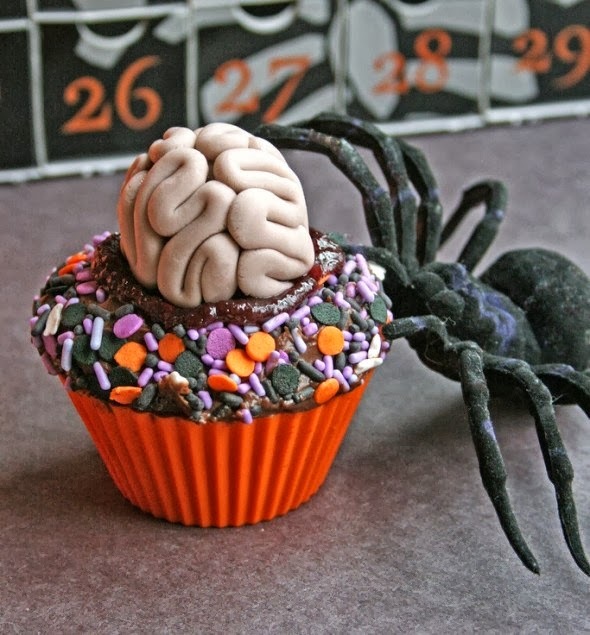 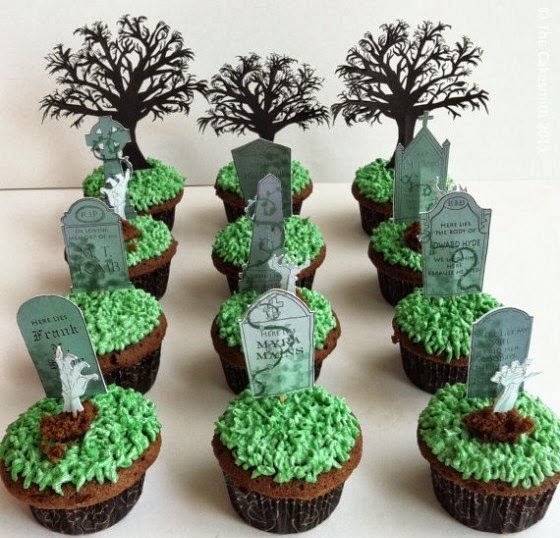 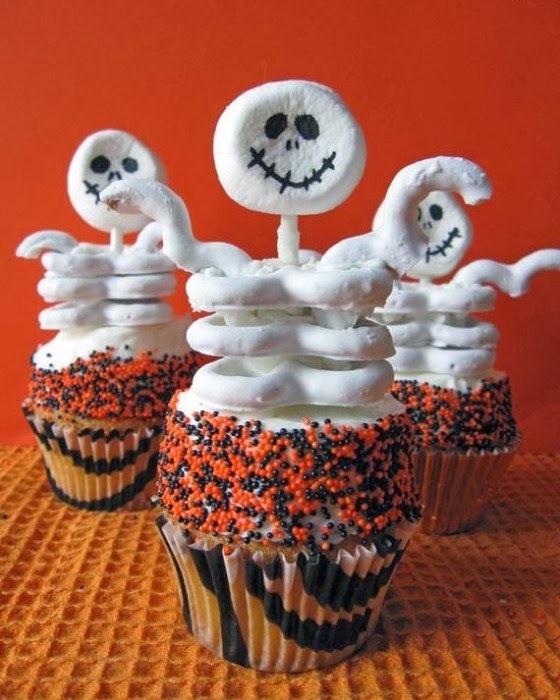 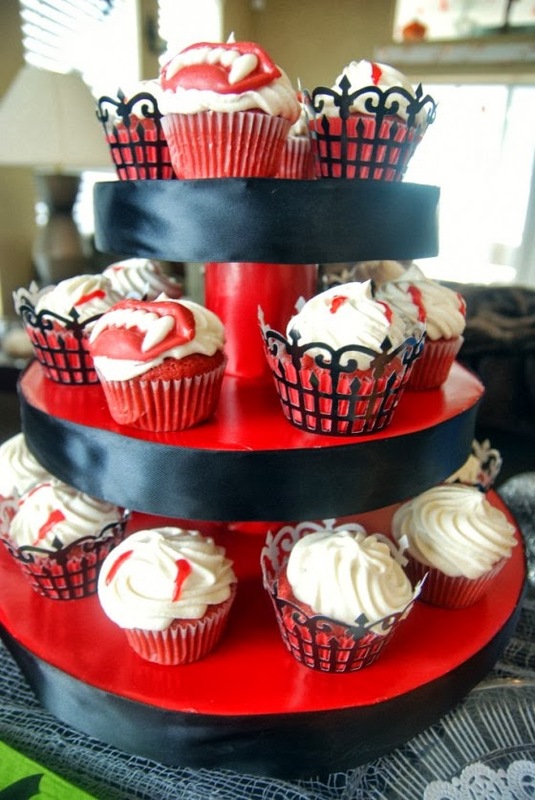 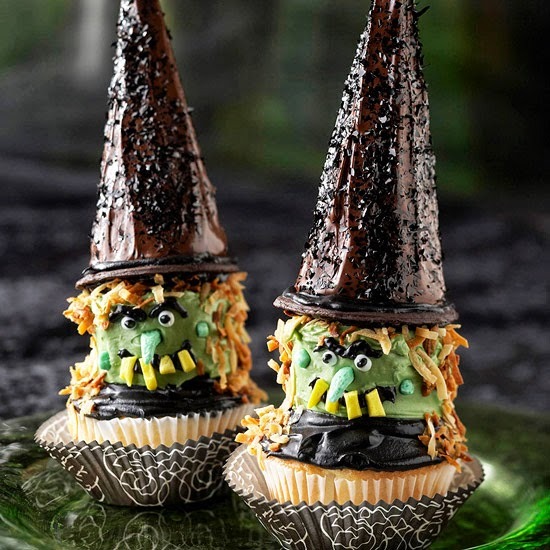 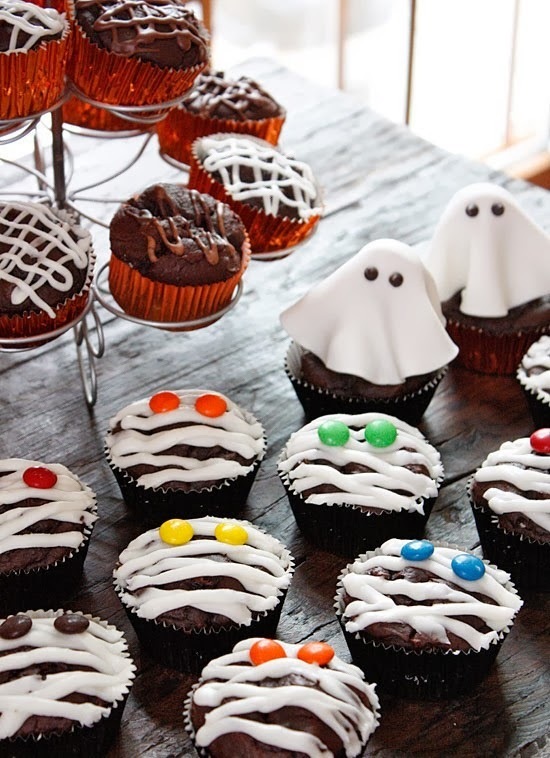 The post included nice crafts for cupcake toppers, such as tombs, grave stones, ghosts, skeleton hand, bloody brain, bones, monster faces, eyes, mummies and crime themes. 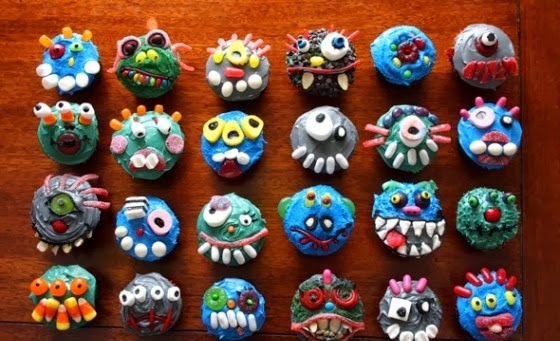 All these scary toppers can be made using creams, healthy food colors, common dough or frosting that we use for birthday cake décor, fruit syrup, candy pieces, chocolate, biscuits and cheese stripes. 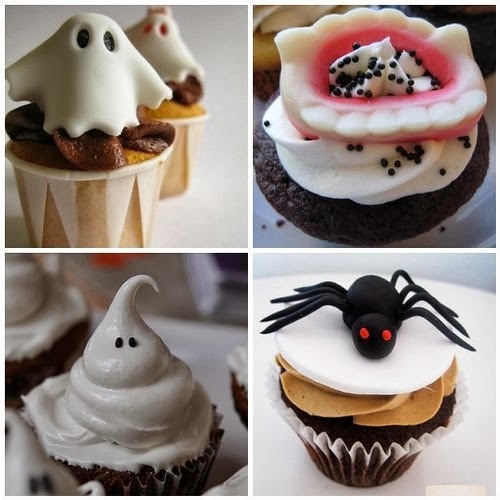 The surrounding décor could be made by the simplest items that you can cut from carton papers or buy from the nearest kids’ toy store.